FDA’s deputy commissioner for foods and veterinary medicine brings industry up to speed on the agency’s perspective and progress at the GMA Science Forum. Stephen Ostroff, M.D. deputy commissioner for foods and veterinary medicine, sounds excited about the promise of blockchain. He also continues to enthusiastically wave the flag for whole genome sequencing (WGS) in solving foodborne illness cases. 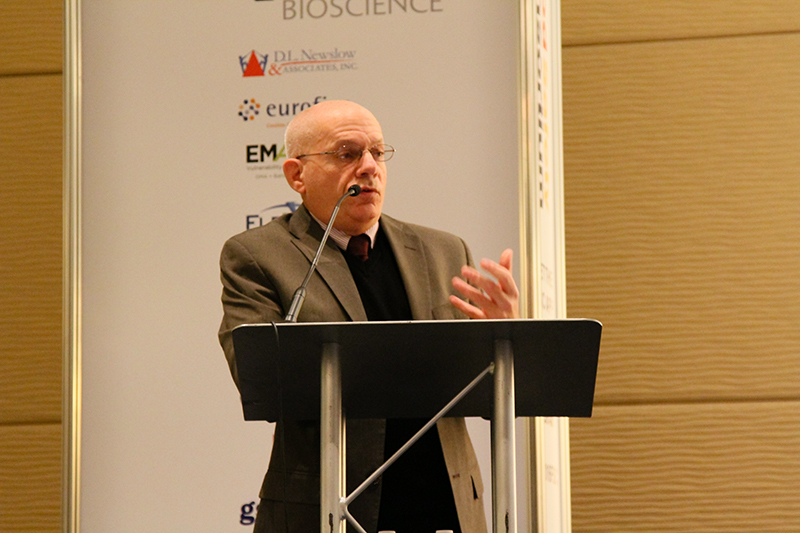 At the recent GMA Science Forum, Ostroff shared his usual update on incidents involving pathogens, agency progress in inspections and FSMA, and what the future holds. “There’s been essentially zero change in incidents of pathogens, and in some [cases there have been] increases—despite the fact that we’ve been doing quite a bit to improve the profile of food safety in the United States,” said Ostroff. This isn’t the first time that Ostroff pointed to the fact that foodborne illness is resistant to change, but he still emphasized the disappointment that industry is “way off” from the Healthy People 2020 target rate for pathogens established by the government. “None of these are close to where we thought we would be,” he said, referring to the government’s established target rates for Campylobacter, E.coli O157, Listeria, Salmonella, Vibrio and Yersinia. Ostroff has previously pointed to improved diagnostics and surveillance systems as being partially responsible for a lack of improvement in the number of foodborne illness cases (due to higher detection rates), but during this particular presentation he brought attention to culture independent diagnostic tests (CIDTs)—which he said are having a “major impact on data collected in FoodNet.” CIDT is relatively new and is more rapid than the culture method, but it doesn’t allow for subtyping or antimicrobial resistance testing. According to Ostroff, CIDTs have major implications for folks who work in food safety. The overall incidence of infection with foodborne pathogens is not decreasing, and the use of CIDTs makes assessment of trends difficult. CIDTs appear to be finding infections previously undiagnosed or unrecognized. In addition, they could affect the agency’s ability to monitor FSMA impact measures. The agency continues to look at inspection data from both the perspective of the number of inspections and their outcomes. During FY 2017, there were 1253 domestic and 146 foreign inspections. For FY 2018, there have already been 1610 domestic inspections to date. In January, FDA issued new enforcement discretion for certain provisions in four FSMA rules. This included resolving issues related to the “farm” definition, requirements for food contact substances under FSVP, and certain written assurances in place for the Preventive Controls (human and animal) rule until FDA comes up with a practical solution to issues raised by stakeholders, Ostroff said. FDA continues to take a risk-based approach to FSVP and overseas inspections. 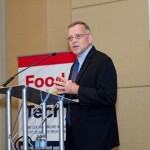 Part of these efforts includes the agency’s systems recognition program where it looks at other mature food safety systems around the world to recognize countries that have programs similar to the United States. Thus far FDA has recognized Australia, Canada and New Zealand food safety systems; It is currently in the process of evaluating European Union members. The International Adulteration rule continues to be a hot topic of discussion, especially as it relates to associated costs. FDA is actively working on putting out a draft guidance that will discuss how to conduct vulnerability assessments, along with its interpretation of the rule, according to Ostroff. Part one of the draft should be out “in the very near future”, he said. He added that the agency is trying to be flexible with the rule and although food defense is an important component of food safety, companies should never do anything in the context of food defense that could pose a food safety risk. WGS provides more precise identification at a genetic level and helps expedite recognition and response time for nearly all current foodborne illness and outbreak investigations. “It’s the new normal—it’s here and it’s here big time,” said Ostroff, adding that the GenomeTrakr network has more than 167,000 isolates sequences in the database and is becoming more and more powerful. “It’s amazing what this tool can do,” he said, citing two recent cases involving strains of Salmonella in papayas and kratom. “I think blockchain can be really transformational in the world of food safety,” said Ostroff, calling it “traceability on steroids without question”. He thinks the technology could also be useful in addressing food fraud and economically motivated adulteration, and provide more consumer transparency. Right now the FDA is looking very closely at blockchain in context of traceability and FSMA. 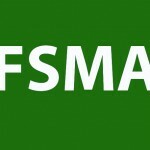 The agency has released three guidances to provide more information about FSMA exemptions for low-acid canned foods, juice HACCP and seafood HACCP. The confidence of regulators is also shared by the industry stakeholders, as they continue to test the technology for a variety of projects.